I guess I should say something about sky’s. Last August when it was intensely hot I would see these fabulous clouds with all different colors, and i had an epiphany. 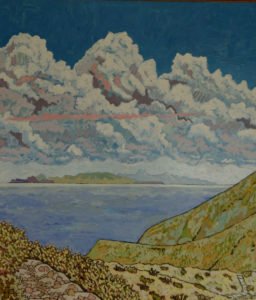 You can see the effect in this painting of Anacapa, and Santa Cruz Islands.